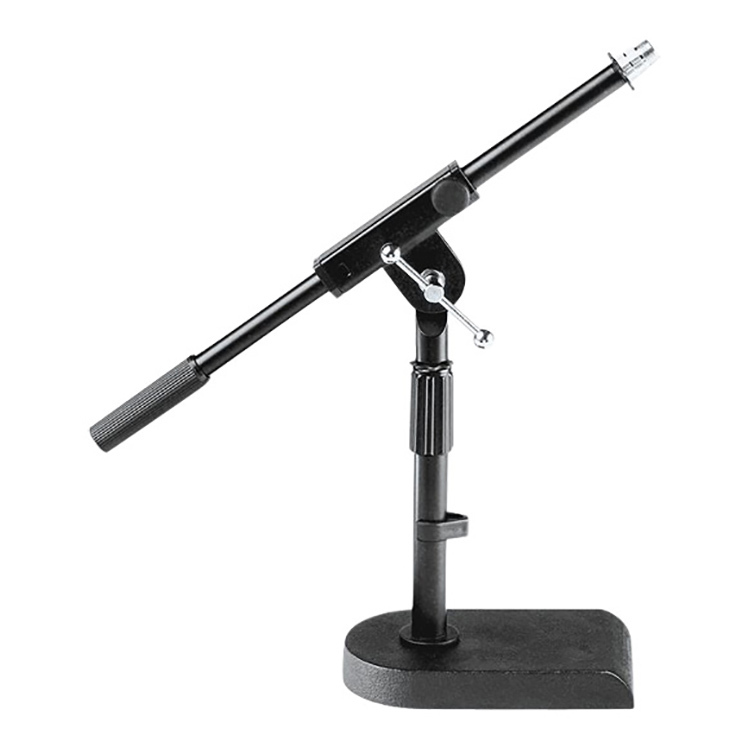 Proline microphone stands safely and securely maintain the position you set for your microphones to capture the perfect sound – in the studio or during live performance. Stands feature die-cast metal clutches, and a heavy-duty die-cast base or non-skid legs that keep the stand where you set it. 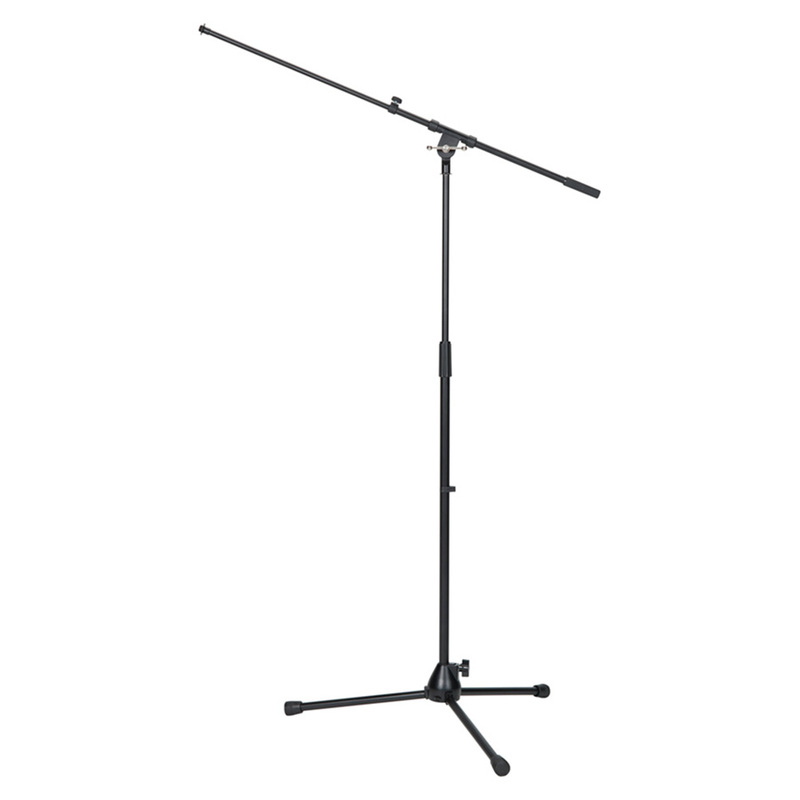 We offer a full line of microphone stands to meet all of your recording and performance needs. Ideal for desktop broadcasting, podcasting or any low-to-the-floor mic’ing situation. 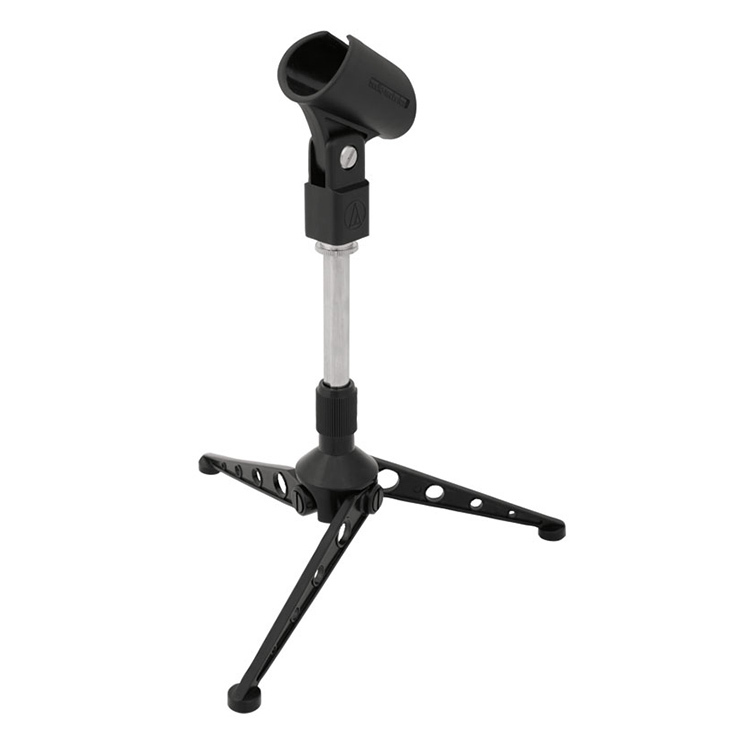 Its cast height-adjustable aluminum body accepts all standard mic sizes and accommodates a wide range of mic clips. Includes standard mic clip. 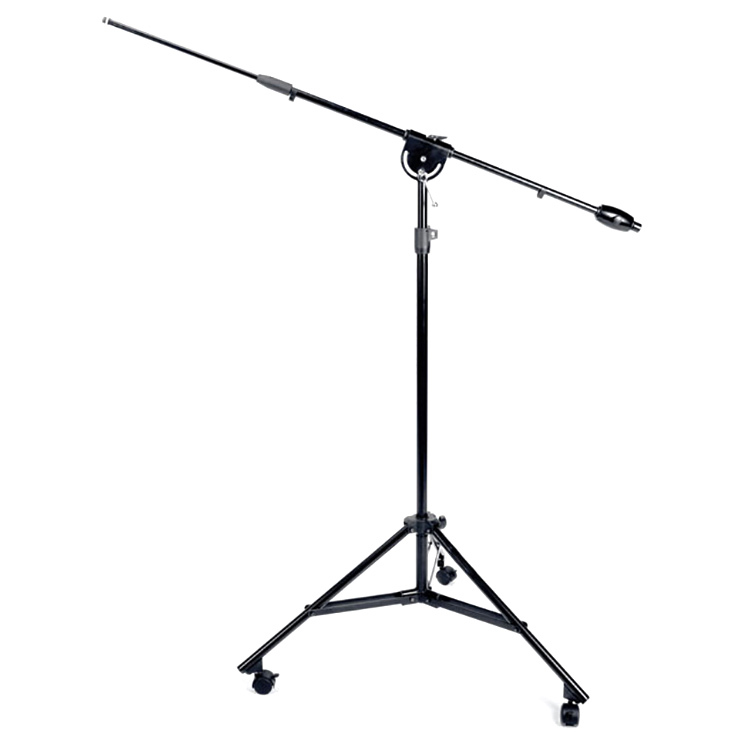 Perfect for vocals or instruments that need overhead mic’ing such as drums, cymbals, choirs, pianos, ensembles and more. 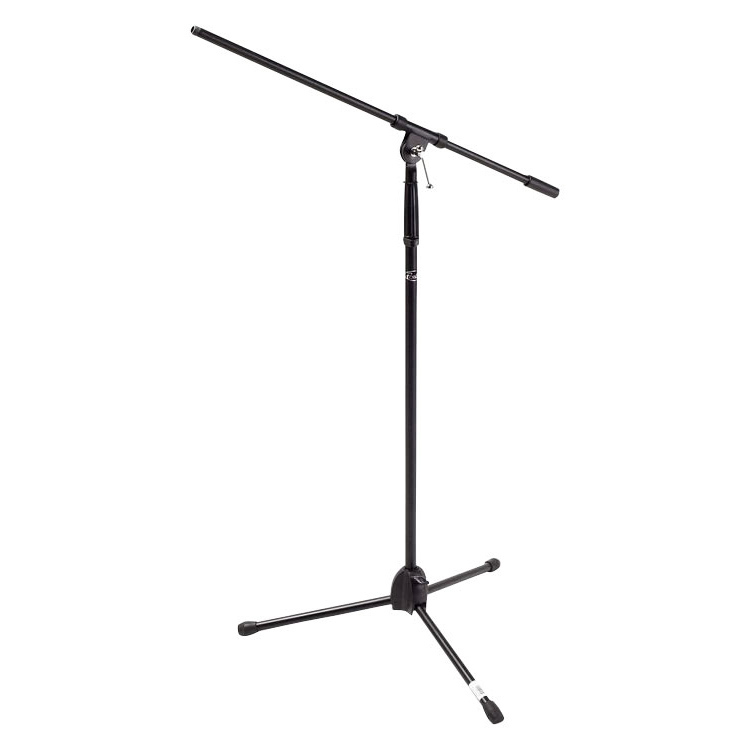 The wide tripod base, sturdy locking casters, and large diameter main tubing ensure stable operation and secure mic placement. Its 7lb weight ensures a secure foundation for heavier microphones while its 26″ base spread mitigates accidental tips and knock overs. Tripod boom mic stand, height adjusts 40″ to 67″, boom adjusts 1″ to 23″. Available in black and chrome. 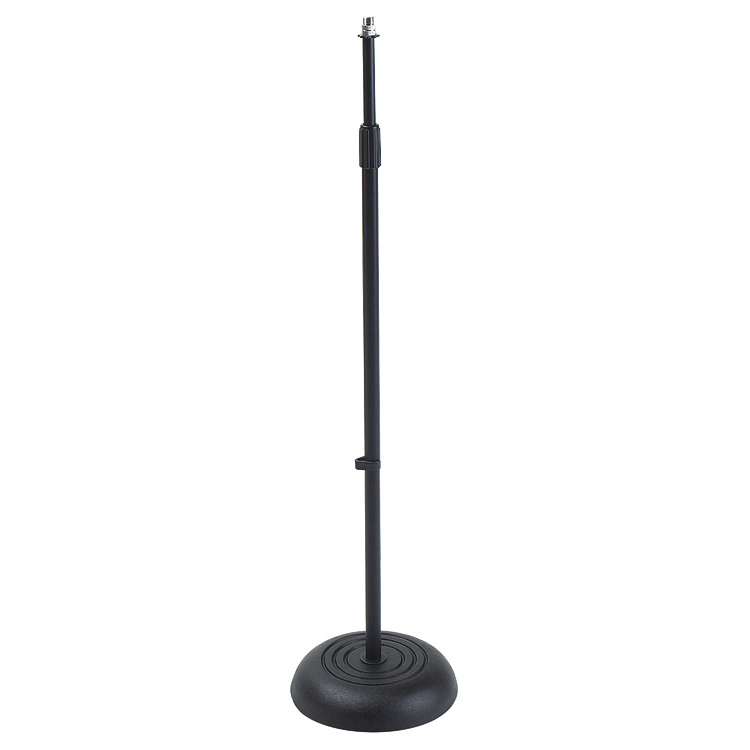 Round microphone stand, round base, adjusts from 36″ to 60″. Black desk boom mic stand, height adjusts 12″ to 17″, boom adjusts 1″ to 9″. 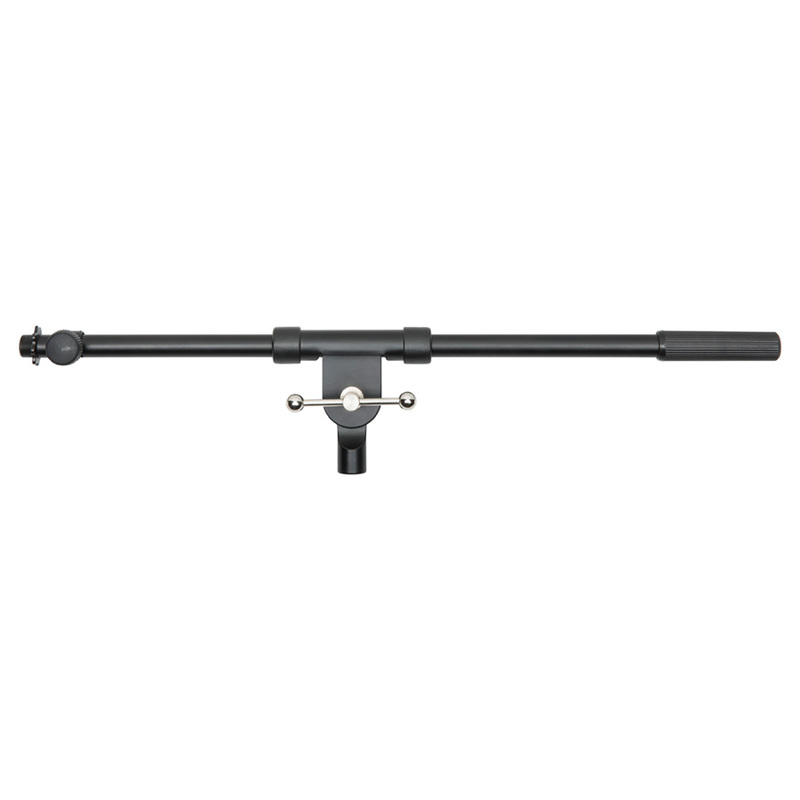 Telescopic range provides 20″ to 36″ adjustments for precise mic placement at all angles.